The two founders of PYURE, Elan Levy and Luca Boccia, are Family Men, Business Men, Coaches, Artists, and Entertainers. When encountering these men and their teams, it becomes clear that they have “that special something.” The drive and enthusiasm of Luca and Elan live in their team as well. Their “PYURE” intent and care for their teams and families are a big part of their success. How did two men from different parts of the world end up partners in the world of beauty? Little did Elan and Luca know that their similar, but different, paths would lead these two artistic men to a beautiful partnership. There would be a point in time where they knew they would be a more powerful and impactful force in the world of beauty working together as a team, rather than going on this artistic journey separately. For Luca and Elan, creating a chain reaction of care comes easily. They both have an inspiring love for their teams and the ability and desire to make a difference with every team member. Most who know Elan and Luca would say they are the perfectly matched business partners. We wondered what each of them thought about the others’ differences and how those differences are beneficial. It truly is like watching a perfectly choreographed show as these two leaders interact. Business partnerships are not always easy, but these two gentlemen are simply great at it! What’s the old saying? Behind every great man there is an even greater woman…or something like that (LOL). That saying may not be politically correct or accurate, but these men understand and appreciate the importance of a supportive spouse. Both Luca and Elan emphasized how grateful they are to have such awesome partners in their lives, and they weren’t referring to each other at this point. They were referring to their supportive wives, Rana and Christine. The dedication and commitment of their partners has been paramount in the ability of Luca and Elan to be able to grow their businesses, and it certainly has not gone unnoticed by either of them. It was a breath of fresh air to hear them speak of the support and dedication from their partners, which has ultimately led to a beautiful work-life balance. Elan Levy’s Family (From Left to Right): River Levy (son), Elan Levy, Rana Levy (wife), Leila Levy (daughter). Luca was no different as he shared his amazement and love for his wife, and what she has done for him and their family. “For me, I couldn't get to where I got without the wife that I have. I mean it takes a unit to try to maintain while you're trying to build. What does that mean? It means I have three kids, and someone was at home while I was trying to grow a business. You have to have that strength there; keeping the family together. I incorporate my family into the business and thank God!" These two extraordinary entrepreneurs opened 3 salons in their first 2 years of establishing PYURE, then spent many years getting them tight and right. 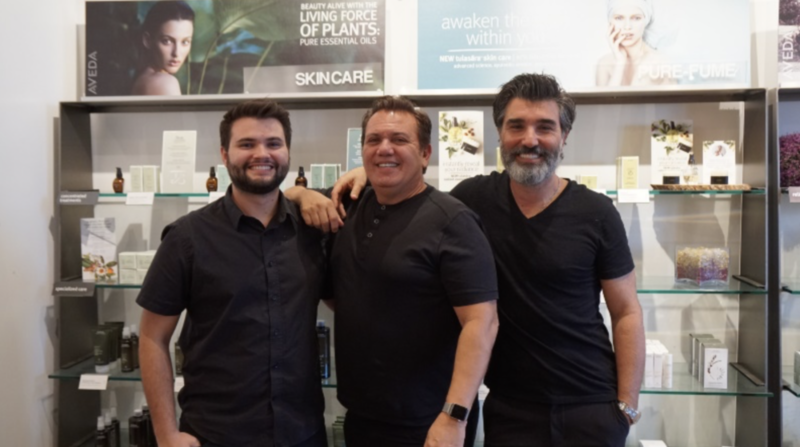 Ten years after the opening of the third salon, the Dynamic Duo has brought in a new partner in a fourth location in Aventura that is opening soon. Luca Boccia, Jr., Luca’s son, who has been paving his way through PYURE over the years, has joined in as a partner of this location. 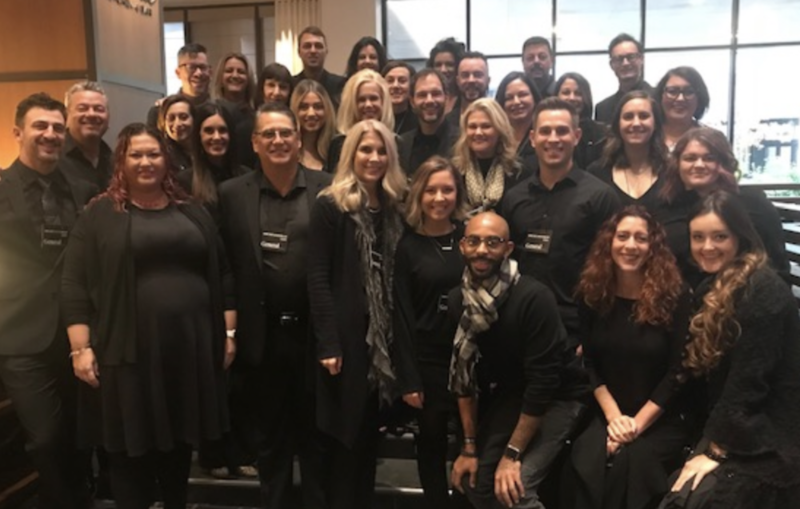 Luca and Elan had a dream to wow the Aveda network one day at Congress in Minneapolis; to entertain their colleagues and allow their team to let their talents shine through to other artists across the globe. That dream was mentioned in the past to Tom Petrillo, and the wheels started turning. PYURE was invited to put on a hair show at the 2016 Dare to Dream event hosted by The Salon People, and that Congress dream was announced and put out into the universe. That stepping stone and stellar performance landed them with an invitation by Aveda to perform at Congress. Dreams do come true! In June of 2018, back by popular demand, they appeared again at the 2018 Dare to Dream event. With a tremendous amount of care, time, and energy they put on another astounding show for over 1,000 of their peers and they were one step closer to their Congress performance. After The Salon People sent the video of the 2018 Dare to Dream PYURE show to Luca, he asked me if I could send him ALL the raw footage. He indicated that he wanted to use it for coaching, to ensure that anything that might be improved upon could be worked out before the Congress show; he didn’t want the “pretty” edited version that we had sent him. I had to laugh, because it WAS the raw footage. His team was simply that great and that prepared. That had to have been a proud moment for them! 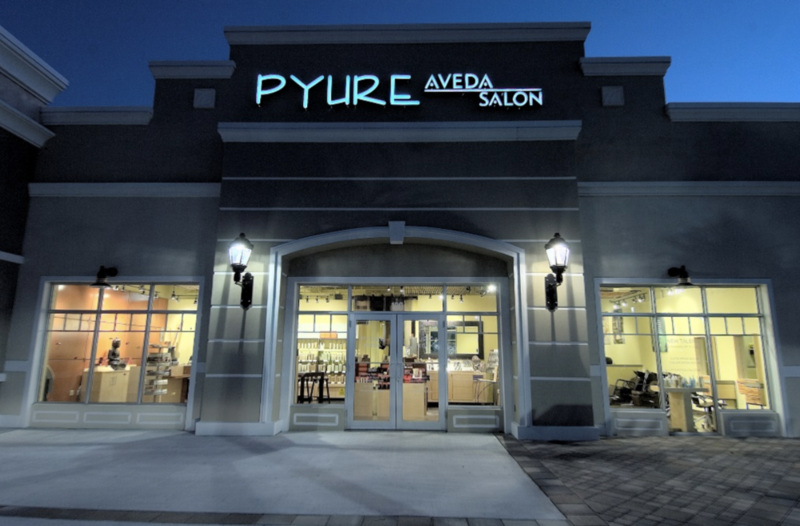 The PYURE team represented our Aveda Florida Network proudly with their amazing performance, color, and styles. This picture says it all! A picture paints a thousand words, as do the smiles on Luca and Elan’s faces. This amazing performance was a dream come true and a truly triumphant and bonding moment for their team. The biggest surprise going through this journey.